**NEW PRICE - REDUCED PRICE** 2 BEDROOM APARTMENT FOR SALE IN PUDSEY Set on the popular Broadlands development, this modern SECOND floor two bedroom apartment. With light neutral decor throughout, this property comprises of, entrance hallway, spacious longe, modern kitchen, two bedrooms and bathroom. Outside there are communal gardens and one allocated parking space. Situated in close proximity to Pudsey town centre which has an array of amenities. A good location for commuting into Leeds and Bradford city centres and beyond by ROAD, RAIL OR BUS. Entered through composite door with secure intercom entry system. Stairs lead to the first floor landing. Stairs lead to the second floor. Entered via composite door into inner hallway. With light neutral decor, wall mounted electric storage heater, wood effect laminate flooring, doors to bathroom, bedrooms and lounge and useful storage cupboard and door to cupboard that houses the hot water system..
A through lounge with two electric wall mounted storage heaters, wood effect laminate flooring, two PVCu double glazed windows to the front and side elevations. Archway through to kitchen. Fitted with a range of modern wall and base units with contrasting work top surfaces incorporating a stainless steel single drainer sink with mixer tap and tiled splash backs. Inset four ring electric hob with stainless steel splash back, extractor hood over and built in electric oven under, plumbing for automatic washing machine and space for fridge/freezer. Extractor fan and vinyl flooring. With electric wall mounted storage heater, two PVCu double glazed windows to the front elevation. With electric wall mounted storage heater and PVCu double glazed window to the front elevation. Partially tiled and fitted with a white three piece suite, comprising panelled bath with 'Aqualisa' shower over and shower curtain, pedestal wash hand basin, pedestal wash hand basin and low flush w.c. Extractor fan, wall mounted electric heater, chrome electric heated towel rail and vinyl flooring. Outside there are communal gardens to the front and one allocated parking space to the rear. From our Pudsey office turn right onto Church Lane. At the traffic lights continue straight through onto Lowtown. Continue on the road for a short while until you reach the traffic lights. At the traffic lights turn right onto Kent Road and continue on here for a while. Turn left onto Broadlands Avenue and follow the road round to the bottom where Broadlands View can be found at the bottom of the hill on the right hand side. The property can be identified by our Dn 'For Sale' board. This section is for information purposes only. We are informed that the property is within council tax band (B) and is paid to Leeds City Council. We recommend that this information be further clarified by your own legal representative at the earliest opportunity. Please note that this a a LEASEHOLD property and the terms of the lease should be discussed with your solicitor prior to completion. All measurements have been taken using electronic measuring devices and are only approximate. Strictly by appointment through our Pudsey Office. NB FITTED APPLIANCES / MAINS HAVE NOT BEEN TESTED FOR WORKING ORDER. 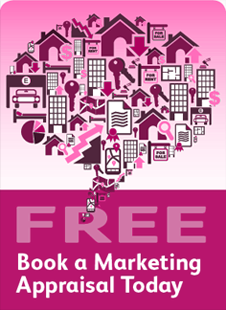 INDEPENDENT MORTGAGE & FINANCIAL ADVICE AVAILABLE. HOME MOVERS - FIRST TIME BUYER - REMORTGAGES ETC. DN Estates are introducer's to Airevalley Independent Advisors Ltd, who are authorised and regulated by the Financial Services Authority. The Financial Services Authority does not regulate some forms of mortgages and debt consolidation. There may be a fee for mortgage advice. The precise amount will depend upon your circumstances but we estimate that it will be �99.00. 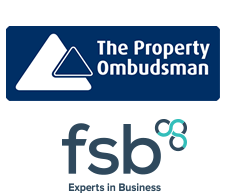 We are registered with The Property Ombudsman's Redress scheme relating to property sales and also signed up for the Code of Practise for Residential Estate Agents. This Code has been approved by the Office Fair Trading under its Consumer Codes Approval Scheme and provides consumers with additional protection. From the Association's conception in 1889 through to the present day, the membership of the Leeds Estate Agents Surveyors and Valuers Association has consisted and consisted only, of the most highly regarded, respected and professional companies. The public can be assured that when dealing with a 'member company' they are dealing with a firm of substance and integrity who will not only act for them in the best possible way but within the strict code of conduct set by the Association. Today, more than ever, it is important when choosing an Estate Agent, Surveyor or Valuer to choose someone who will act in your interests; to that end we strongly advise you contact one of the Association's approved members. The association's role is to combine the in-depth local knowledge & experience of property professionals within the Leeds area and help to ensure that the industry provides a professional, ethical and effective service. The association committee meet regularly, constantly reviewing the membership and actively encouraging new members, providing they are willing to commit to the standards expected and adhere to the association's code of conduct. A new President is elected annually, allowing a constant fresh approach, with members always welcome to join the committee, providing the opportunity for individuals to become more actively involved. What are the benefits of membership in the Association? The public can choose from a network of industry related member firms, with the assurance that the high levels of professional service expected from any industry are achieved, in particular, in an industry where levels of service and integrity can vary significantly. Members enjoy the benefit of being able to network & communicate with similar like minded professionals and refer clients, safe in the knowledge that the service they will receive will live up to the Association's high standards.